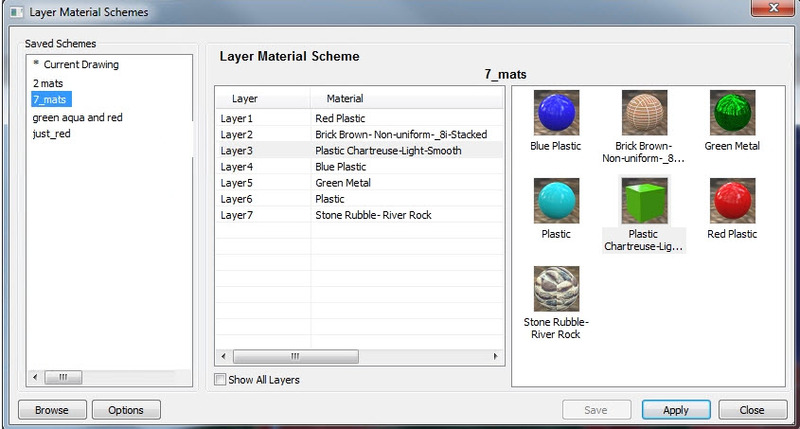 With Layer Material Schemes you can save sets of material assignments for your model, and then quickly reload them into the same model or other models. Daniel has created a video to show you how to use it. Unknown command "NXT_LAYER_MATERIALS". Press F1 for help. Command: Error code (0x2) The system cannot find the file specified. c:\program files\accurender nxt\rps_bin\rps_nxtrender_r22_x64.arx cannot find a dll or other file that it needs. Unknown command "RPS_AC_LAYER_MATERIALS". Press F1 for help. I believe we have fixed this. Please try downloading and installing the latest version of nXtRender that we recently posted on our downloads page. The new install now includes the files that were reported missing in your error message, and the Layer Schemes is working again in AutoCAD 2018.
nxtrender_load_r18_x64.arx is incompatible with this version of AutoCAD. c:\program files\accurender nxt\rps_bin\nxtrender_load_r18_x64.arxUnable to load nXtRender_load_R18_x64.arx file. LegalCopyright: © Autodesk, Inc. 1998-2015. All rights reserved. Sorry for the confusion. That file named "nxtrender_load_r18_x64.arx" was intended for a different application. I'll make sure it is not in the install for the next version that we post. You should be able to load the module named AccuRender nXt_22_64.arx for AutoCAD 2018, if you are on a 64 bit computer. Type _apploadat the command line. Command: _appload AccuRender nXt_22_64.arx successfully loaded. I have a version if CadWorx 2018 installed. Can there be a conflict? No, it shouldn't be a conflict with CadWorx 2018. Sorry, I had thought that you were getting that error when using APPLOAD yourself. So nxt is loaded OK, but you get this error when trying to use the Layer Schemes routine, right? Are you just clicking on this button to load the Layer Material Schemes dialog? yer Schemes dialog? And the error appears as soon as you click that button? New answer, I am now. Gosh, when a person does it right things work. Thanks for your time Rich. Sounds like it's working now then. Let me know if you run into anything else.